Wroclaw Medical University (WMU) consists of 5 faculties: Medicine, Dentistry, Pharmacy, Public Health and Postgraduate Education. The total number of chairs and clinics is 107. Altogether, 891 academic professors and teachers work at the Medical University and about 3 500 students continue their studies. 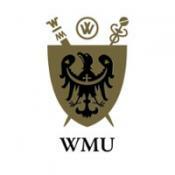 WMU has 22 international agreements of co-operation signed with other universities abroad. There is a wide exchange of students and teaching staff within the framework of the Socrates/Erasmus, Leonardo da Vinci programme of the European Union, especially with France, Germany, Italy, Sweden, Spain, Netherlands and England. Research activities of scientists employed in the Wroclaw Medical University cover – among others – following areas: Gastroenterology, Endocrinology, Psychiatry, Cardiology, Oncology, Paediatrics (Asthma, Allergy), Medical Microbiology, Gastroenterology and Hepatology, advances in the diagnostics and treatment of viral hepatitis and HIV infection, mental and clinical studies on transplantation medicine, study on anti­ageing medicine. The Department of Heart Diseases of WMU has an extensive experience in designing and conducting research projects and multinational studies, and is a world recognized expert in the field of treatment of chronic and acute heart failure. The Department has specialized structures and qualified staff responsible for project management and assisting with commercialization of generated intellectual property. The clinical and scientific team led by Prof. Ponikowski consists of experts with excellent scientific credentials and multiple publications in prestigious journals, and is adequately equipped and experienced in the management of multicentre research projects. The main research interest area are encompasses pathophysiology and comprehensive management of patients with heart failure. The clinic with a Laboratory of Applied Research on Cardiovascular System, offers the facilities for comprehensive assessment of autonomic system, cardiopulmonary exercise testing, skeletal muscle function, iron status assessment, etc. There are long-standing collaborations with other cardiology institutions in Poland and worldwide, including long-term co-operation with all the other partners of the consortium. The main role of UM Wroclaw in SECURE will be the co-ordination and supervision of the trial in all centres in Poland. Prof P. Ponikowski, MD PhD, FESC, Head of Department. Piotr Ponikowski is currently Head of Department of Heart Diseases at Wroclaw Medical University and Head of Cardiology Department at the Military Hospital in Wroclaw. He holds a MD and a PhD from Wroclaw Medical University. He is a world recognized expert in the field of heart failure, he is member of CPG and co-author of new ESC guidelines HF 2016.. He has been involved in European Society of Cardiology activities since 1998, when he was elected as a Fellow (FESC) and he is now Past-President of Heart Failure Association of the ESC, also was an ESC board memberProf. Ponikowski is also involved in other International Scientific Committees and Editorial Boards. He is the author of more than 400 publications, total IF >1800, H-index>71. He has been a principal investigator in more than 70 clinical trials, and a member of executive/steering committees in more than 20 clinical trials. He has also been a principal investigator in 3 EU programmes: „Home or Hospital In Heart Failure”, BIOSTAT CHF and SICA-HF. Ewa A. Jankowska, MD PhD, FESC, Professor. Ewa Jankowska is Professor and Head of Laboratory of Applied Research on Cardiovascular System at Wroclaw Medical University. She obtained a doctoral degree in endocrinology (MD) and an habilitation in endocrinology and cardiology (PhD). She has been involved in European Society of Cardiology activities since 2009, when she was elected as a Fellow (FESC) and in activities of the Polish Society of Cardiology (PSC) since 2010. Prof. Jankowska has obtained several fellowships and awards, among which 3 from the National Heart & Lung Institute, Imperial College London and more recently the Scientific Award of the Presidents of the Polish Society of Cardiology. She is the author of more than 271 scientific papers in peer-reviewed journals, IF ≥400, H-index>21. She has an extensive experience in studies on reflex regulation of cardiopulmonary systems, androgen and estrogen metabolism and iron metabolism in heart failure, and was an investigator in 2 EU programmes (BIOSTAT CHF and SICA-HF).